Yesterday renowned Mac and iOS developer Panic launched their beautiful new Status Board app for iPad. It lets you display real-time metrics from various public and personal sources in sizable, re-arrangable widgets on the iPad screen and optionally mirror that display to an HDTV or monitor hanging in your office. 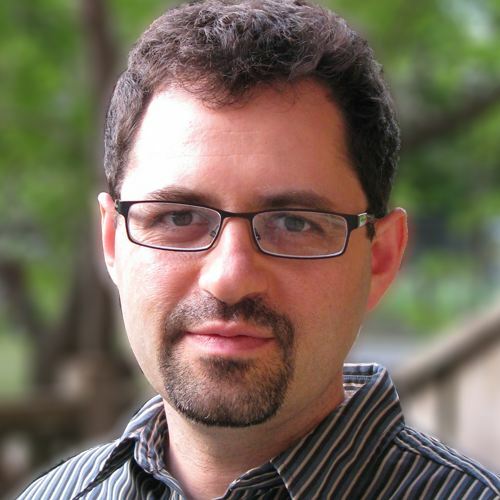 This is not a new idea, but is implemented elegantly and in an extremely user-friendly way. You can read iMore's full review. 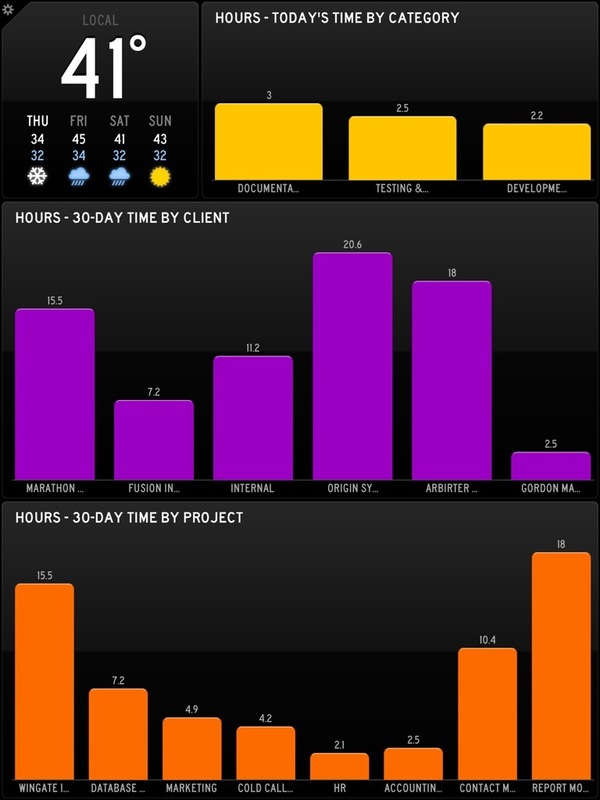 Panic cleverly incorporated some simple interfaces for providing custom data sources to show in Status Board. This kind of thing is pure catnip for developers, so I took a few hours1 yesterday to put together a simple tool to publish TimeTiger time data in a Status Board-friendly way. I've posted the tool on GitHub. 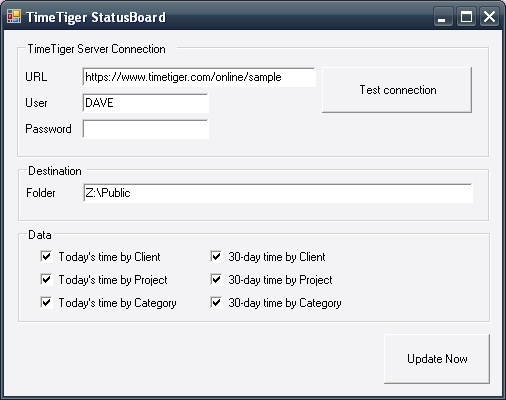 It is a .NET 2.0 application written in VB.NET (Visual Studio 2005 and up) and uses the public TimeTiger SDK. It doesn't include any scheduling capabilities yet and provides only six simple reports, but serves as a great starting point for rolling your own real-time TimeTiger time and project Status Board layout. Sound interesting? We can help you get started using the TimeTiger SDK or adapting this specific tool to your needs. 1. According to TimeTiger, 3.4 hours from initially purchasing Status Board to committing working code and the screenshots you see here.